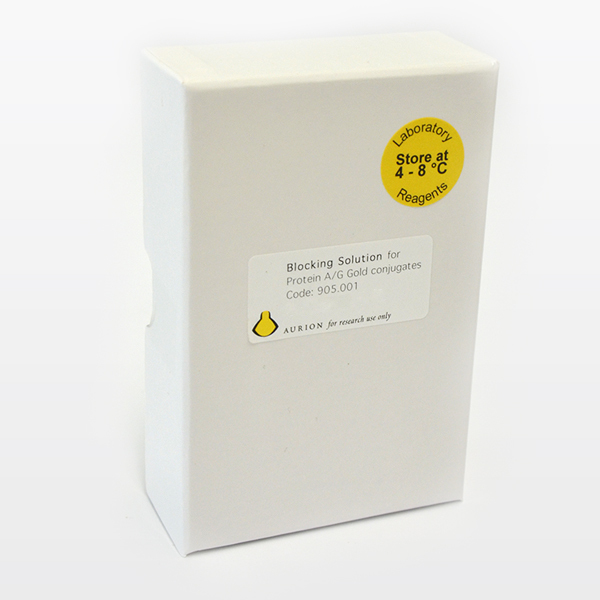 AURION Blocking Solutions are prepared using specially selected compounds. All ruminant proteins are obtained from healthy livestock. 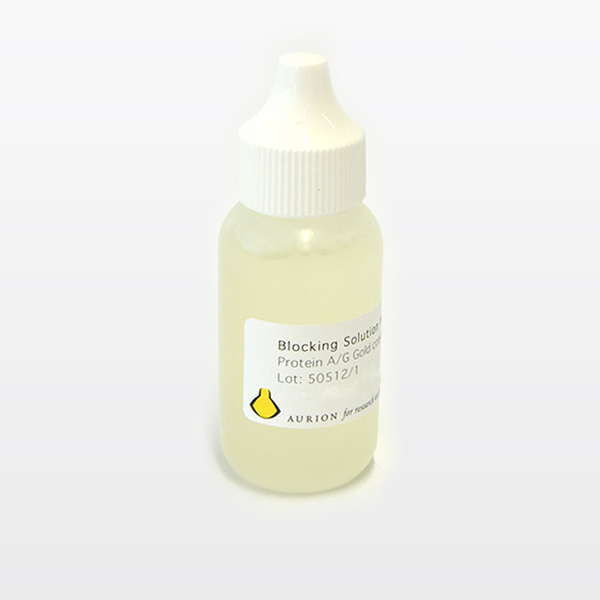 AURION Blocking solutions contain Bovine Serum Albumin and Cold Water Fish Skin Gelatine in phosphate buffered saline with sodium azide as preservative. Normal serum may have been added as indicated on the label. The blocking capacity of each lot is determined using a dot-spot test system as described by Moeremans et al., J. Immunol. Methods 74, (1984), 353. 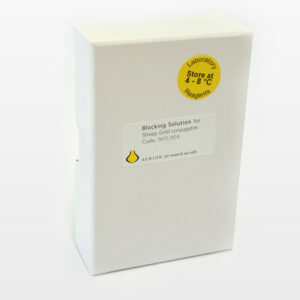 Each package contains 30 ml of solution. 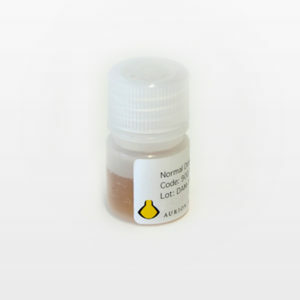 It accommodates 300 specimens for light microscopy at 100 µl/specimen (~ 3 drops), or 1000 EM grids at 30 µl/specimen (~ 1 drop).